SundanceTV is the destination for What's Next, Now. Showcasing both today's creative icons and the emerging talent of tomorrow, SundanceTV tells credible, authentic, and emotionally immersive stories of Invention, Fashion, Film, Travel, Design, and Enterprise. Launched in 1996, the network provides perspectives dedicated to founder Robert Redford's mission to celebrate creativity. SundanceTV is owned and operated by AMC Networks Inc., which includes sister networks AMC, IFC, and WE tv. 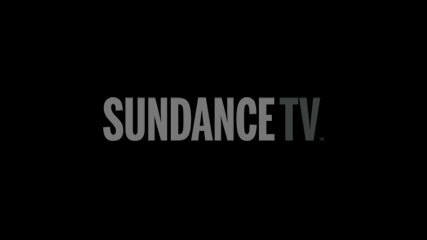 On SundanceTV, do you only show films that were at the Sundance Film Festival? No. Although we do show many films that did, in fact, appear at the Festival, this is in no way a requirement for being selected for broadcast on our air. Beyond films, we also feature a great line-up of original series that we think you’ll like. Why doesn't the schedule reflect what's airing on live TV? Due to the intricate nature of cable and satellite technology, it is sometimes difficult to know where your feed originates. For example, you could live on the East Coast but receive a West Coast feed. Our online schedule provides the most likely match for your time zone, but if your schedule still doesn’t match up then please try checking your local television guide. 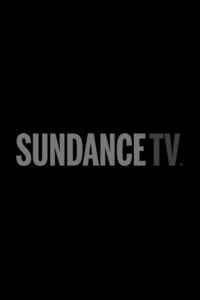 How can I find out what's playing on SundanceTV? I saw fifteen minutes of a fantastic movie last month and just have to catch the whole thing. What movie was that, and when are you showing it again? Excellent question! To find the film, you can search the Schedule if you have a general notion of when it aired. You can also search by keyword – like "bank heist" or "talking dog" for example – or by the title if you know it. Alternately, if you know the filmmaker or any of the cast, try searching by their name. If none of these help, you can try posting your question on our Facebook page or in our discussion boards. Sometimes the power of the people can answer a riddle that just won’t let you sleep until you solve it. I saw this awesome movie and loved every frame of it! Now I want to send a copy to all my relatives next Christmas. Can I buy it from you? Short answer: maybe not from us. But, there's a good possibility that one of our retail partners will have it for sale or download. SundanceTV Home Entertainment titles are available at most online and DVD retail stores. We also have a growing presence on iTunes, where we’re making more and more films, docs, and original series available for download. Unfortunately, some titles are simply not available on DVD - just because we can show it on television doesn't mean the publisher wants you to buy it. Go figure. I.M. Kamera, the director of BEST FILM EVER, is my favorite filmmaker and I would like to invite him to speak to my community group. Do you have his phone number? Sorry, but we cannot supply the phone numbers or addresses of filmmakers. It is best to write directly to the distribution company or check if there is an official site for the film. If you can't find that information, e-mail your correspondence to feedback@sundance.tv. We will forward it, if possible. The results are never predictable though - filmmakers are busy people! How do I submit my film to SundanceTV? Regrettably, we do not accept unsolicited submissions. How do I find out about the next Sundance Film Festival? Watch our festival site at http://sundancetv.com/festival, or check the Sundance Institute web site at http://www.sundance.org. How do I contact SundanceTV?